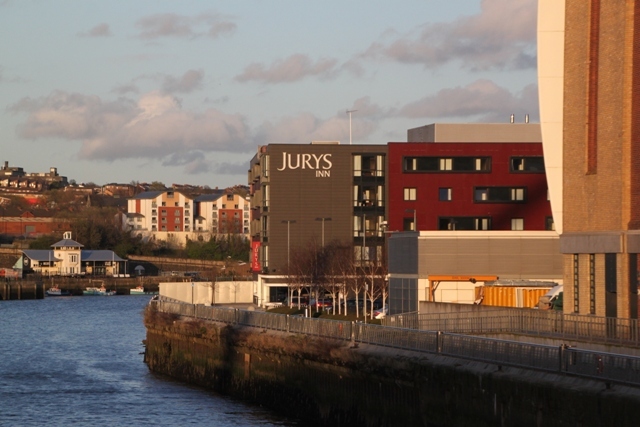 Jury’s Inn was the hotel we settled for on our three night Newcastle jaunt. A good deal on a last minute booking website combined with a Quayside location, we snapped it up. We were happy with our choice. 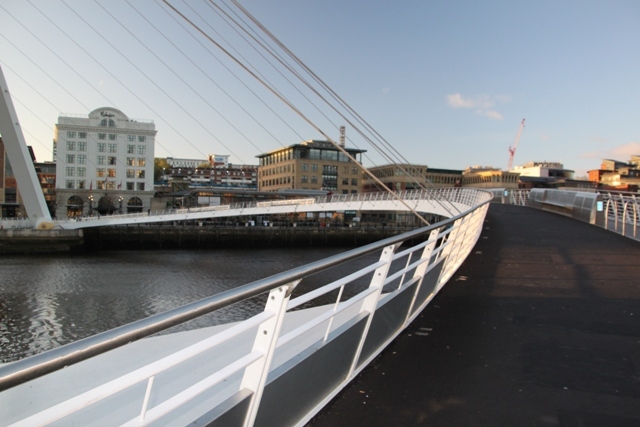 The hotel is right on the banks of the Tyne, mere steps away from the Millennium Bridge and with plenty of restaurants nearby it was just what we wanted – the perfect base for Quayside strolling but good too for venturing further afield into the city. All that plus the Baltic Art Gallery right next door, what more could you ask for! We paid a little extra for a river view – not the biggest window in the world and not the best river view ever, so this was probably not worth it. 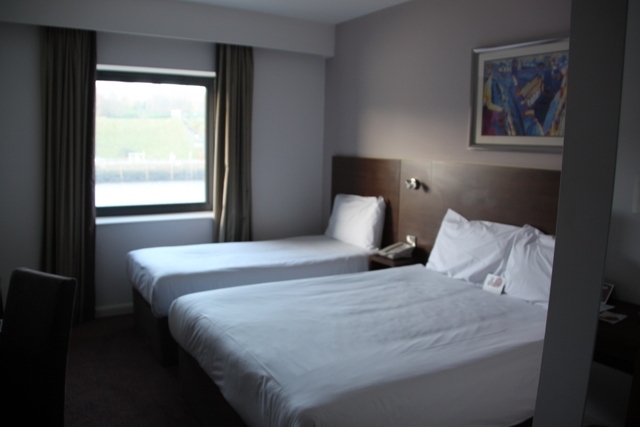 The room was fine, no frills or luxuries but it had everything you could need plus a super comfy bed. I got the best night’s sleep here on our Northumberland trip. Son was also impressed with his sleeping arrangements – a proper bed as opposed to a sofa or camp bed got a big thumbs up from him (not that it really matters, once his head hits the pillow he is out like a light, but impressions are everything!). 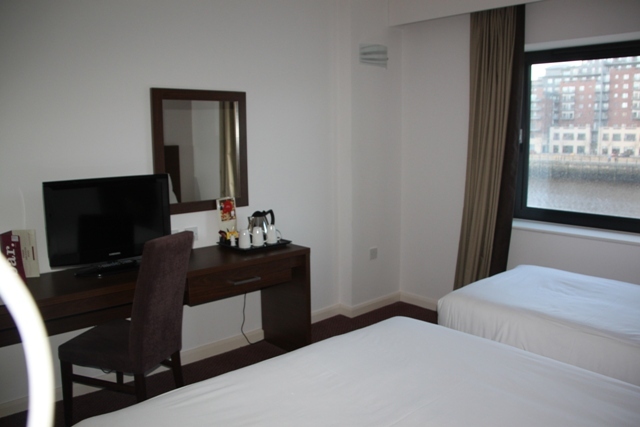 The hotel has a bit of a corporate atmosphere and does not tick the charming or quaint boxes, but the location box gets a tick of giant proportions. The WiFi was poor in the room unless you paid to upgrade – we didn’t. We also skipped the breakfast choosing instead to walk over the bridge and feast on fresh bread and coffee in a little coffee shop for a fraction of the price. 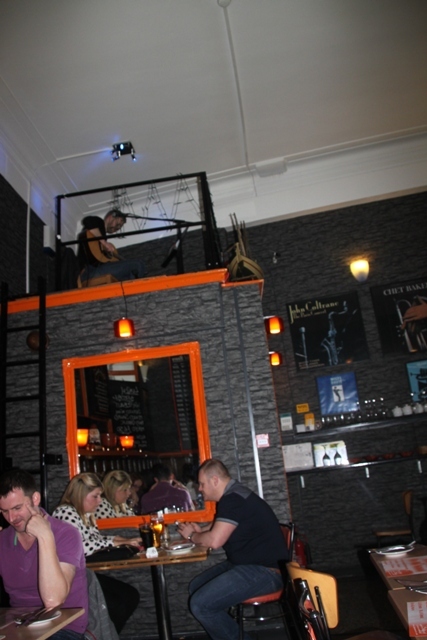 The restaurant in the hotel looked quite nice but we shunned it to seek out what else Newcastle had to offer. We arrived late on our first evening, headed straight out in search of food across the Millennium Bridge amid hungry protests from Son. 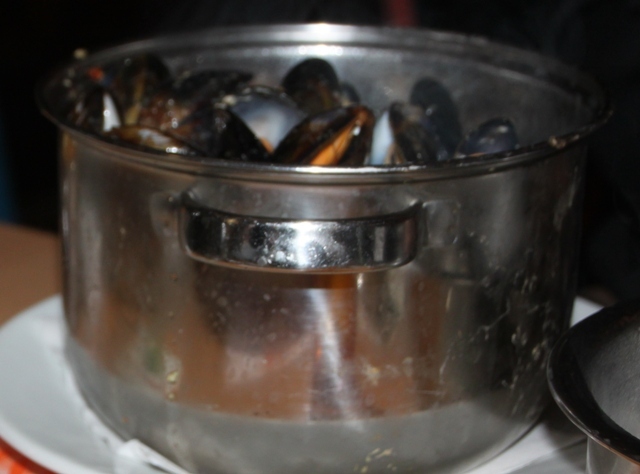 It is strange – the Newcastle side of the river was so busy and every restaurant was packed to the rafters. We later found the Gateshead side was far less busy, even though it had equally good places to eat. Ravenous, grumpy and tired after being turned away from a couple of places we finally were told we could have a table in half an hour. 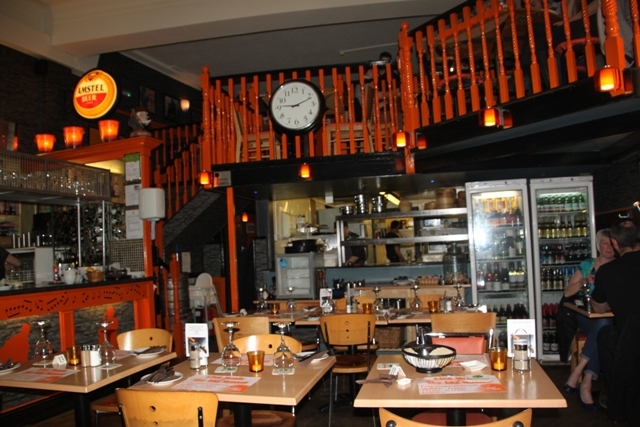 Gratefully we went inside Gusto, a chain Italian that we would normally avoid on trips away but needs must. After the half hour wait we devoured the food – excellent actually with polenta chips to die for – either that or we were so ravenous anything would have tasted good. 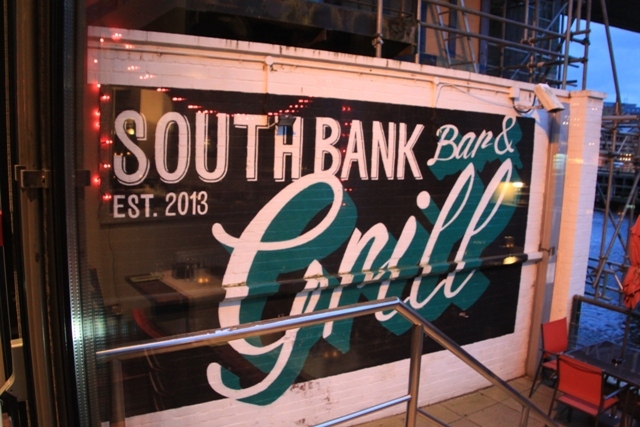 On our last night we stayed on the Gateshead side of the river and dined in the Southbank Grill. Empty with only two other tables to serve, I have no idea why, this place was great. 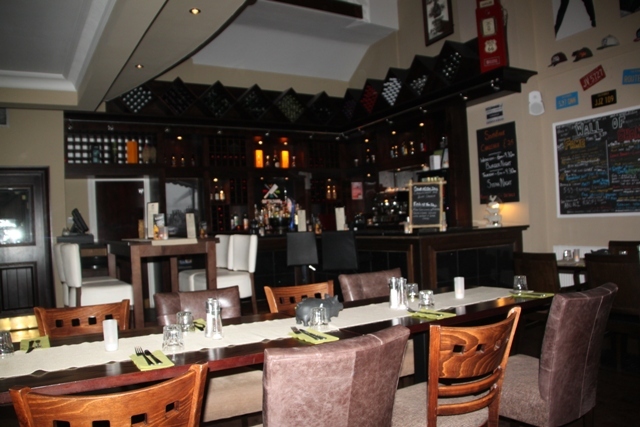 The location is good with a view of the river and the bridges, the staff were again very friendly and the menu was delicious and very reasonably priced. 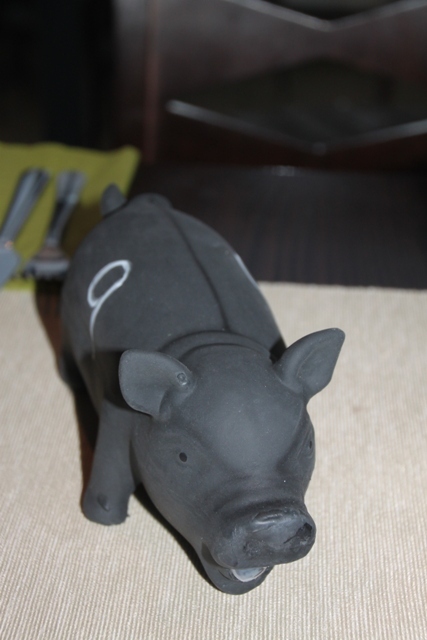 The pigs on the table are a quirky touch – they oinked when moved, needless to say our pig oinked more than most once Son got wind of it. 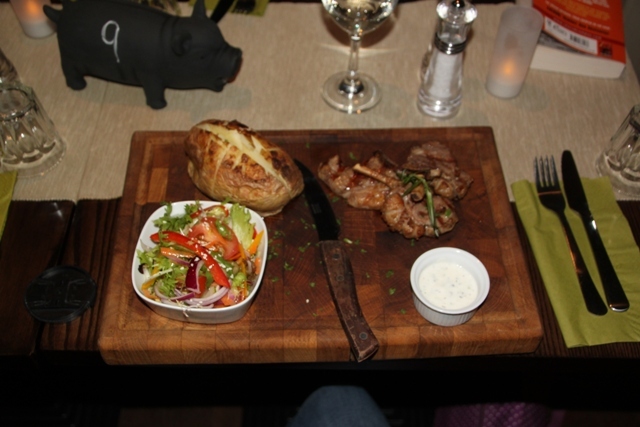 We feasted on mouth wateringly gorgeous local lamb served on wooden boards. A lovely place and fitting end to our stay in this great city. Yes, sofa or camp beds seem to be the norm don’t they – although he can sleep anywhere equally well our son really rates the hotel where the kids get a real bed!